The Omron CompAir XLT nebulizer features compact size, convenient handling and a sporty carrying case that allows you to take it anywhere with ease. It utilizes a patented piston pump designed specifically for dependable long life and quiet operation. 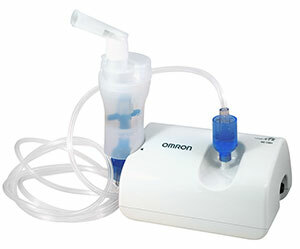 The Omron CompAir XLT Nebulizer Kit (included) provides a dense aerosol in the therapeutic range and a short treatment time. The nebulizer kit has a 6 ml medicine cup and leaves minimal residual medication.